The first step to fixing a problem is to simply acknowledge its existence. For Republican presidential frontrunner Donald Trump, a man who regularly refuses acknowledge the existence of women’s rights, the humanity of immigrants, and the basic human rights of people of color, acknowledging that there is a problem is hard. 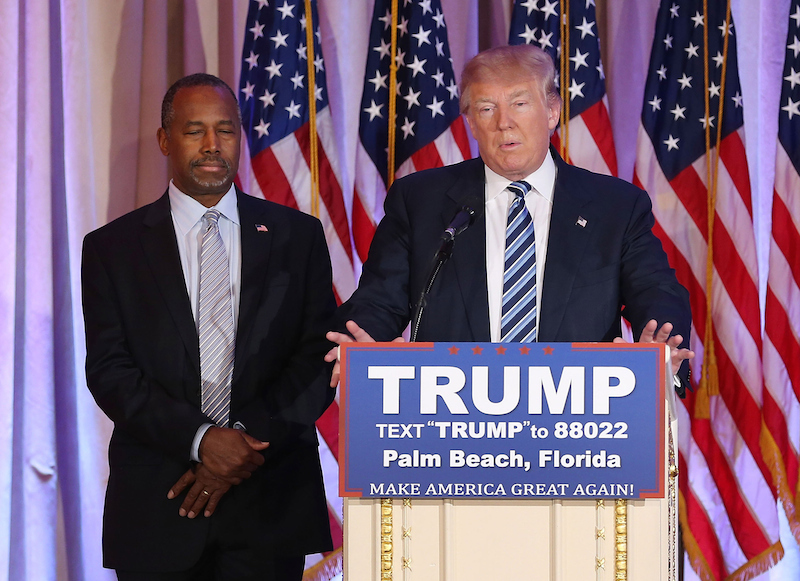 But lucky for Trump, his former-nemesis-turned-errand-boy Ben Carson will do it for him. While the word “problem” is perhaps not large enough to encompass the enormity of garbage that is Trump’s Twitter account, it’s a good thing that at least someone in Camp Trump gets it. Meanwhile, Carson has been sending out his own grammatically dubious tweets, likely passing the time between interviews with Fox News, during which he must blindly praise a man who once compared him to a child molester. The power resides with, "We The People" not the government.